A rubber full sole lace up jazz shoe with leather upper and laces for a secure fit. 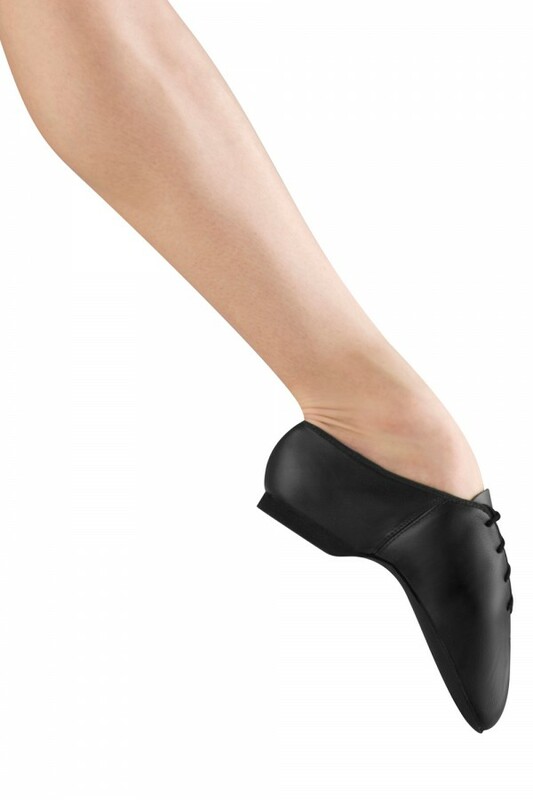 In respect of our BLOCH products this is a guideline only.Due to the nature of their design and purpose, jazz shoes should fit comfortably snug, sock-like, much like a pair of ballet flats. As all our jazz shoes are made of soft leather we recommend ordering them to your true size or ½ size smaller to your regular shoe size. Remember, leather naturally gives over time so with wear, your jazz shoes will stretch around your pressure points making them feel a little bit bigger and wider. *Please note that all Ladies Jazz Shoes come in BLOCH size. Please see SELECT SIZE dropdown tab for BLOCH / UK size conversion.